Caregiverlist has partnered with the leading producer of training videos for the caregiving industry, Terra Nova Films, to assist our caregiving community with understanding how to care for the physical, emotional and psychosocial needs of older adults. 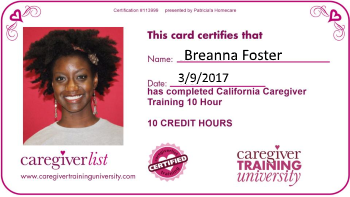 If you are a certified nursing aide, home health aide, companion caregiver or family caregiver, these videos will help you improve upon your current skills and learn about the latest approaches for successful caregiving. Review state training requirements.